A German Stock Exchange company by the name of Tipp24, founded this lottery website in 2007 and it is regarded as one of the first online lottery brokers in Europe. Why is this website so popular? MyLotto24 gives lottery fans the opportunity to place their bets on the European lottery. Which lottery games? You can place bets on Spain’s BonoLotto, Germany’s 6/49 as well as Euro Syndicate, which is designed on the same principles as Spanish Euromillions. MyLotto24 also offers mobile lottery through the Lottery Network software, which is licensed in the United Kingdom. Over the years, the website has also extended its operations to Ireland and Australia. For now, the website can only be accessed in the English language and the primary currency that can be used by the players is British pounds, but it seems that other currencies can also be used by them if they wish. According to MyLotto24, its current membership includes about 2.4 million players or more and it has stated that the payouts made are approximately €200 million. One of the most appealing features of the website is that it is quite straightforward to register yourself on it. All you have to do is enter the usual personal details and opt for a payment method of your choice. There is a clause in terms and conditions that outlines the website’s right to process, share and transfer the personal information of the members outside the European Economic Area (EEA). Put simply, this means that MyLotto24 has the right to share personal data of all the players such as their phone number and email address without their consent or knowledge. But, technically, if you sign up on the website, you agree to their terms and conditions, which means your information is shared with consent. Some might worry about this feature yet others claim that it is only used to provide better services. There is also a sort of warning issued to all players, which states that unless they log out of their personal account manually, anyone who accesses their computer can enjoy free reign. Hence, you have to be very careful and sign out of your account after use. Moving onto payment methods available at MyLotto24, four are currently supported at the website including Visa, Visa Electron and Visa Debit along with MasterCard. In regard to currency, the British pound may be primary, but the terms and conditions dictate that at the time of withdrawal, the winnings of the player will be converted into the currency of their choice at the exchange rate of the website’s bank on the date the draw occurs. 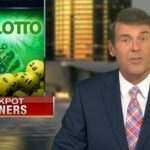 Players should be aware that since MyLotto24 is a lottery betting website, it doesn’t provide you with scanned copies of the lottery tickets. Players are not required to deposit a specific amount in order to start playing and MyLotto24 doesn’t charge any commission on the winnings of their members. Nevertheless, the player’s bank might take a cut from their winnings. It is recommended that you check their policy before you start playing in order to know what you will get. The minimum withdrawal sum is very little and nothing to worry about. 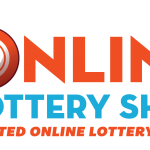 Next up, a really impressive feature of MyLotto24 is that lottery results can be found on the website at any time. This is very convenient for players as the can check them whenever they want. Notifications are also sent to the players via email and text message or players can also check their personal accounts for the results. Security is also a priority at MyLotto24 and this is why the website is secured by Norton Safeweb and Google Safebrowsing. There are several customer support options that can also be explored by the players. You can find news about MyLotto24 on popular social media networks that include Twitter and Facebook. Email customer support services are also provided and the address can be found on the website. Online chat assistance may not be an option, but a phone number is provided and can be used to contact the website, if needed. 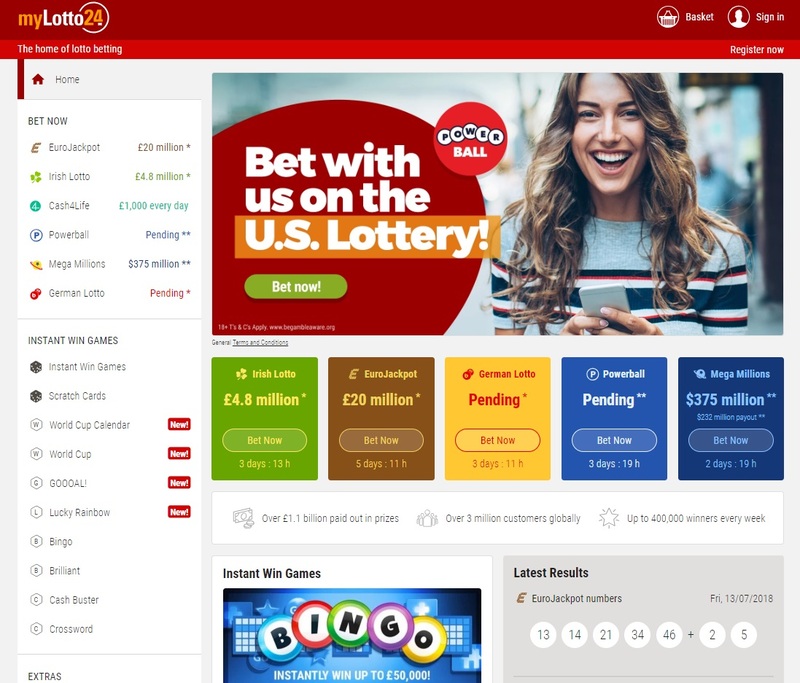 There are some special features and benefits associated with MyLotto24 that have set it apart from the other online lottery websites that you can find. 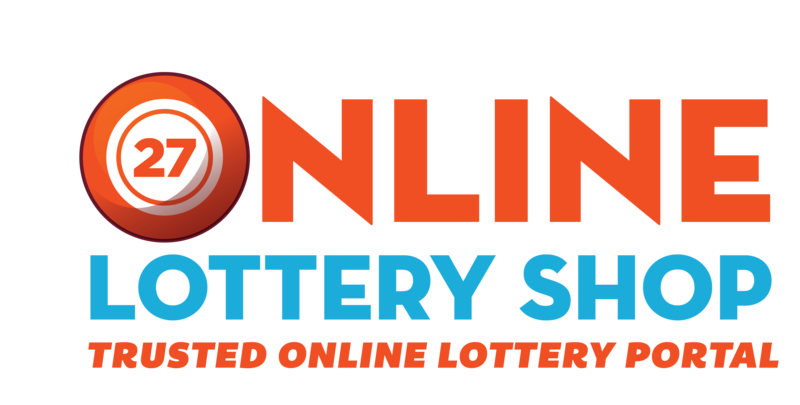 The website has a Free Lotto Lines promotion that gives players the opportunity of winning free lotto bets as long as they match only the Star Number. If a player is able to guess this number accurately, they will immediately be provided with access to free lotto lines. How? This will automatically be credited to your Free Lotto Lines balance and can be utilized for placing additional bets on the website. Along with this, MyLotto24 also runs a Corporate Social Responsibility Programme, which is named ‘The Good Neighborhood Fund’. This particular program is aimed at improving the lives of the disadvantaged in London and tackles important issues and problems such as access to education, child poverty, homelessness, unemployment, domestic violence, isolation and gang violence. It accomplishes all this by approving small and medium sized grants to approximately 10 organizations every year. However, one of the most notable features of MyLotto24 is the availability of syndicates in the game-play options available on the website. You can become a part of the Super Syndicate, which comprises of 100 shares, meaning that ever player has about 100 chances of winning. 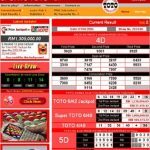 On a whole, MyLotto24 is a good option to explore when you are interested in online lottery betting instead of playing the lottery itself as it offers a comprehensive package.